Fine Carriages for Weddings and Events. Make your special day even more memorable. Arrive in a fine wedding carriage pulled by a Show Quality Percheron, mane and tail braided with the Brides wedding colors. The Bride will arrive in style to be handed off a finely appointed horse-drawn carriage, decorated with a Just Married sign. Driver is always formally attired. Additional carriages or wagons can be in attendance for other members of the wedding party, developing an elegant procession. 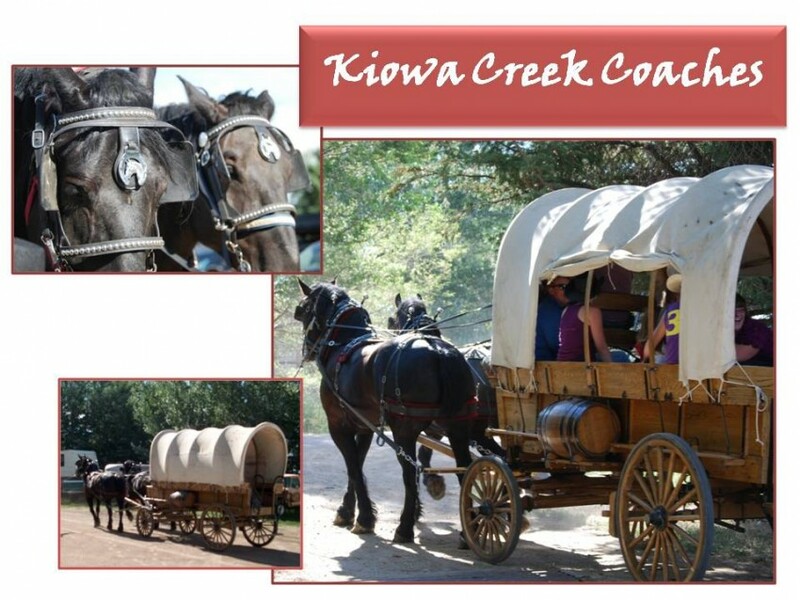 At the last minute, we were able to book a team of two beautiful horses and a gorgeous carriage from Kiowa Creek. RJ was so attentive and returned our inquiry immediately. They just happened to be available to us last evening. What a great addition to our 50th Anniversary Celebration! They showed up at the exact time promised, were so friendly and so acommodating, and gave lots of carriage rides to our guests. RJ, his wife and their assistant, Doug, went out of their way to make everyone feel welcome and entertained! It was very cold and they had blankets for everyone! The carriage was decorated for the holidays with little lantern lights and bells! The horses were just beautiful and so well cared for. We would definitely work with them again and recommend them to our friends. What a fun highlight for any event! They will not disappoint. Thank you Kiowa Creek! 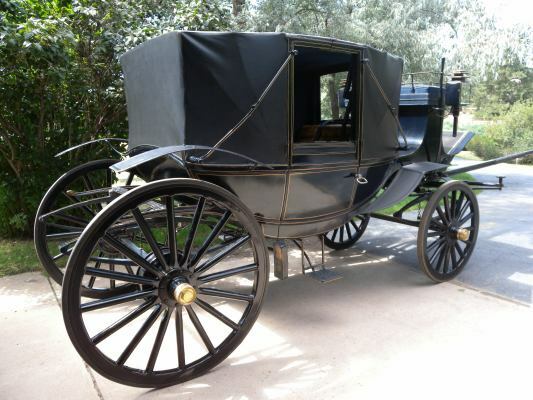 Fine Carriages for Weddings and Events. Make your special day even more memorable. Arrive in a fine wedding carriage pulled by a Show Quality Percheron, mane and tail braided with the Brides wedding colors. 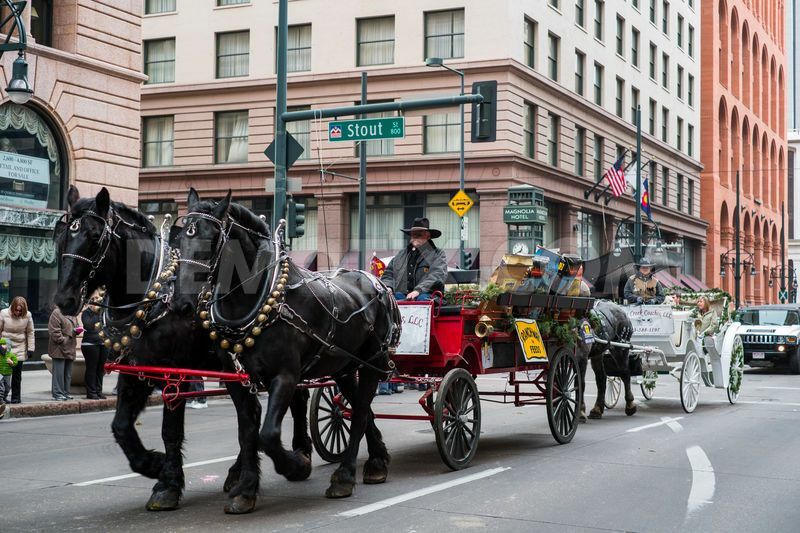 The Bride will arrive in style to be handed off a finely appointed horse-drawn carriage by the Father of the Bride. At the conclusion of the ceremony, the Bride, Groom, Maid of Honor and the Best Man will leave in this same carriage, decorated with a Just Married sign. Driver is always formally attired. Additional carriages or wagons can be in attendance for other members of the wedding party, developing an elegant procession.